Every sheet has different colors and patterns, so no two sheets are the same. 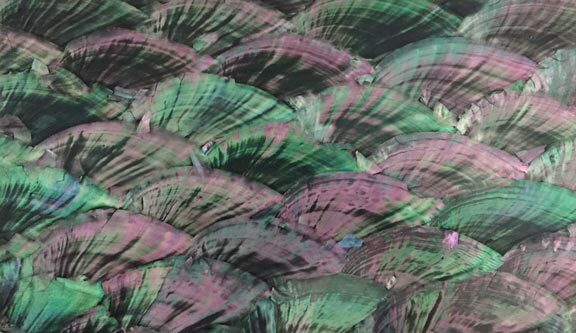 Predominant color is green and pink brought out by treating the shell with oil, and applying black lacquer on the back of the sheet. 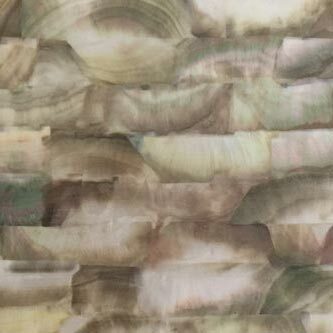 Unlike most shell veneers, Abalone Donkey Ear Lacquer Veneer is not translucent, due to the lacquer backing.